A child who died had asked his mother, "What happens when the plane will crash?" "I didn't listen to him," the mother says. "Why the children? Why not me?" 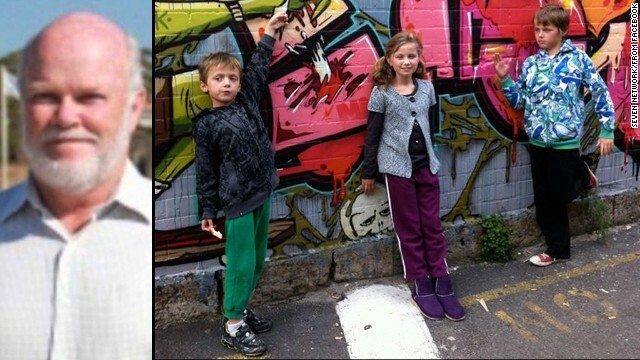 Remembering those on Flight MH17: Share your photos and tributes with CNN iReport. (CNN) -- A nun, a leading AIDS researcher, an international athlete and a family traveling on summer vacation. Malaysia Airlines on Saturday issued its latest list of the 298 people aboard doomed Flight MH17, which was shot down in eastern Ukraine. There were 193 Dutch citizens -- the most of any nation -- on the flight from Amsterdam, Netherlands, to Kuala Lumpur, Malaysia. The passengers and crew aboard Malaysia Airlines Flight 17 came from around the world and held a wide range of hopes and dreams. While the identities of the 298 people aboard have not been release by the airline, CNN has been able to confirm some of them via family, friends and social media. 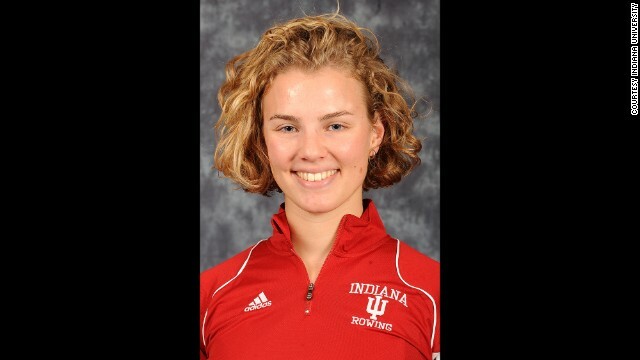 Karlijn Keijzer, 25, was a champion rower from Amsterdam who showed much passion and leadership in the United States as a member of the team at Indiana University in Bloomington, Indiana. Miguel Calehr, left, and his older brother Shaka were both aboard the flight. They were on their way to Bali to visit their grandmother. Their middle brother, Mika, was supposed to be on the flight as well, but it was fully booked. 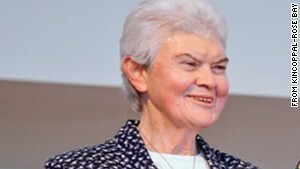 A 77-year-old teacher and Roman Catholic nun, Sister Philomene Tiernan, was on the flight, according to Australia's Kincoppal-Rose Bay School of the Sacred Heart. The school principal described Tiernan as "wonderfully wise and compassionate." On Friday, President Barack Obama told reporters that an American, Quinn Lucas Schansman, was aboard. 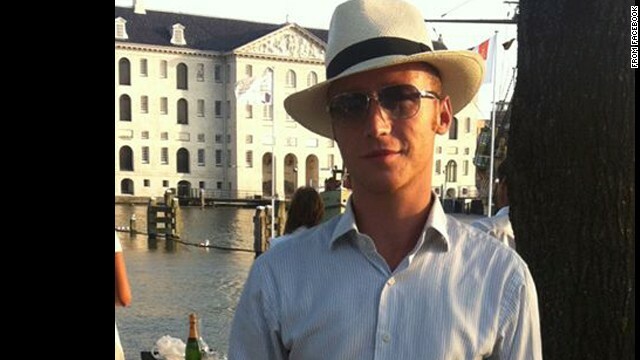 His Facebook page said he was a student at International Business School Hogeschool van Amsterdam. The World Health Organization was able to confirm to CNN that their employee Glenneth Thomas was on board and heading to the International AIDS Conference scheduled to begin this weekend in Melbourne, Australia. 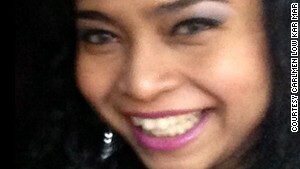 Shazana Salleh, a Malaysian national, was one of 15 crew members aboard. Prominent Dutch scientist Joep Lange was a pioneer in HIV research and a former president of the International AIDS Society, which organizes the International AIDS Conference. 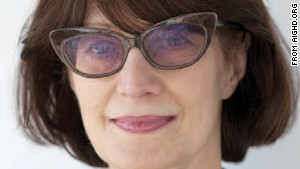 Jacqueline van Tongeren, partner of HIV researcher Joep Lange, was on the flight with him. 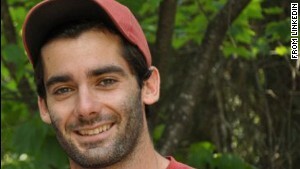 Medical student Andrei Anghel, 24, boarded Flight 17 on his way to vacation in Bali. 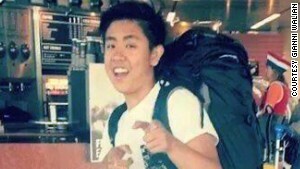 Darryl Dwight Gunawan, 20, was traveling home to the Philippines after a summer vacation with his family. His mother, Irene Gunawan, 54, and sister Sheryl Shania Gunawan, 15, were also aboard. 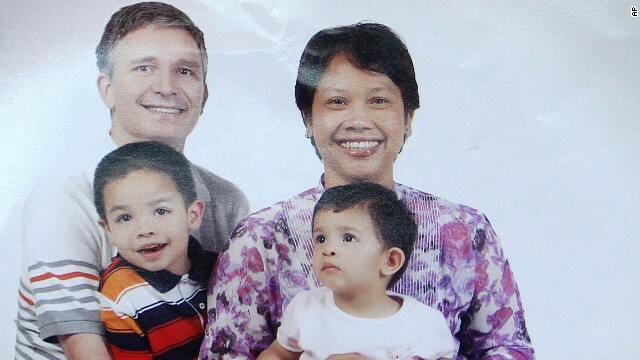 John Paulissen, his wife Yuli Hastini and their two children, Martin Arjuna and Sri were all aboard the flight. 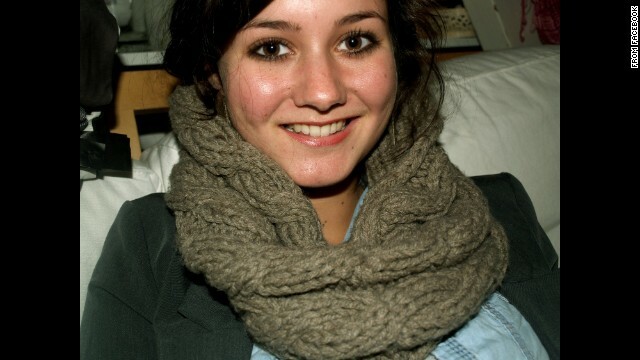 Tessa van der Sande, an Amnesty International employee, was on the flight. 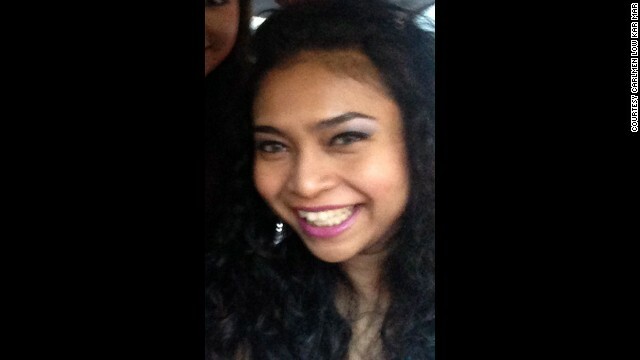 Angeline Premila Rajandaran was a flight attendant, one of the 15 crew on board. 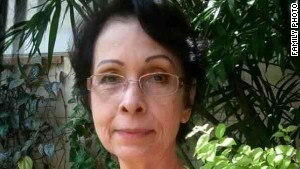 A lover of French literature, Adi Soetjipto, 73, was returning home to Jakarta, Indonesia, after her annual visit to her mother in the Netherlands, nephew Joss Wibisono said. Nick Norris and his three grandchildren, Otis, 8, Evie,10 and Mo, 12, were all aboard the flight. 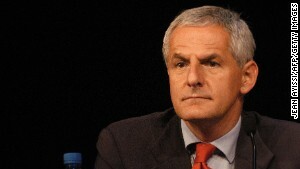 Pim de Kuijer was also on his way to the International AIDS Conference. 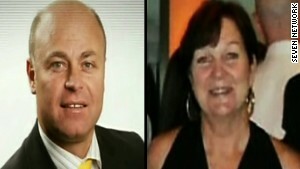 Husband and wife Albert and Maree Rizk were among the passengers on board. 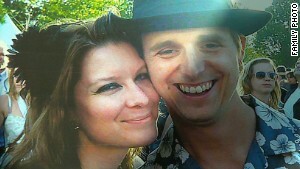 Musician Cor Schilfder was on vacation with girlfriend NeeltjeTol, a florist. 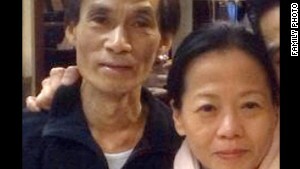 Shun Poh Fan and wife Jenny Loh were restaurant owners in the Netherlands. 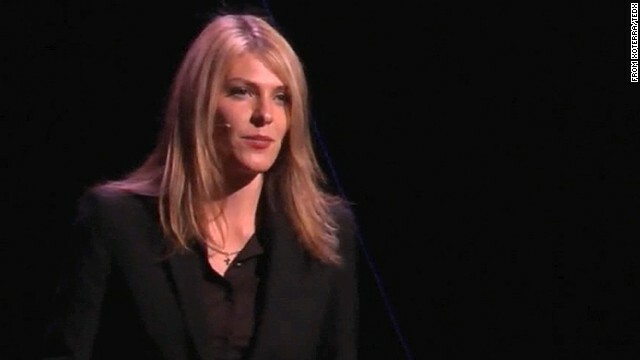 Fatima Dycynski was an engineer and the founder and CEO of Xoterra Space. 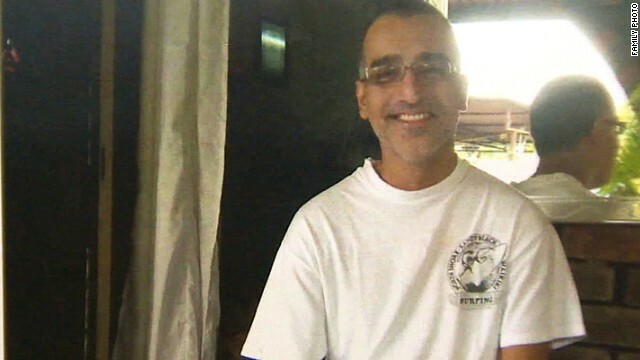 Flight attendant Sanjid Singh Sandu swapped flights at the last moment on Thursday and boarded MH17 in Amsterdam so he could get home early, his parents told CNN. Malaysia Airlines listed one passenger as being from New Zealand, but the airline's count did not mention one Hong Kong passenger included in earlier tallies. Samira Calehr's sons were setting out to visit their grandmother halfway across the world in Bali. But the youngest son, 10-year-old Miguel, was nervous. "After entering for the passport, he came back, ran to me and said, 'Mama, I love you. I'm happy to see Ohma but I'm going to miss you. And what happens when the plane will crash?'" Calehr said in Amsterdam. Calehr tried to assure him everything would be OK.
"I said come on, don't be silly," the mother said. "You've been traveling already so many times. Everything's going to be OK."
But as it turned out, the boy's premonition was right. 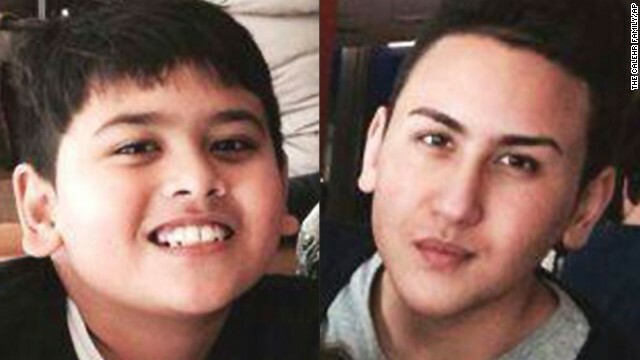 Miguel and his 19-year-old brother, Shaka, perished in the crash. 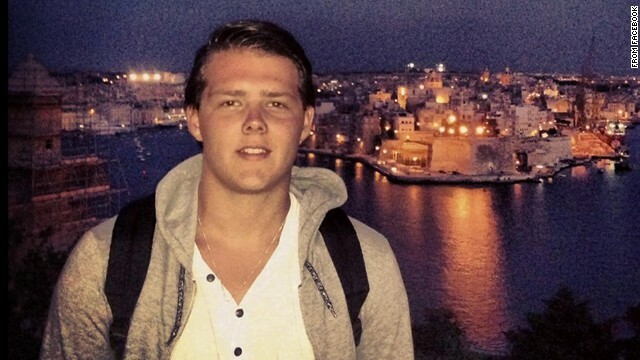 The middle brother, Mika, had to catch a later flight only because MH17 was fully booked. Now, Mika must carry on without his two "best friends." "It feels like they're already one with me now," Mika said. "I feel like they're going to watch over me forever." But Calehr is filled with remorse after her youngest son expressed concerns. "If I could just turn back time," she said, staring at the ground. "I didn't listen to him." Calehr wishes she could trade places with her two lost sons. "Why didn't they take my life?" she asked. "They're still young. They still have a future. Why the children? Why not me?" 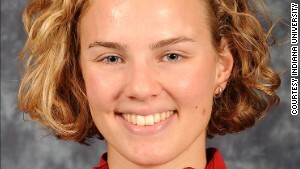 Karlijn Keijzer, 25, was a champion rower from Amsterdam who had showed passion and leadership in the United States as a member of the team at Indiana University in Bloomington. The blond Dutch chemistry student with an infectious smile left behind a team of friends, many of whom will remember her for a lifetime. "She was so intelligent and such a hard worker. But rowing was her passion," said teammate Kelly Bainbridge. Keijzer rowed on the team's fastest boat crew, where she showed leadership and a technique that Bainbridge described as "pristine." "She was bold. She said everything like she wanted to say. She was direct. And she was beautiful inside and out. And she was brilliant," teammate Catherine Campbell told CNN's "Anderson Cooper 360." 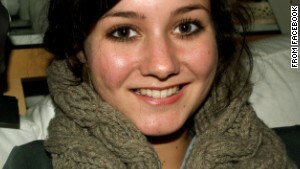 Keijzer was traveling with her boyfriend, Laurens van der Graaff. "They had a love that few find in this lifetime," Campbell said. She was driven and a hard worker, but she never lost sight of who she was, friends said. In the gym during weight training, "if someone was having a tough day, she would give them a pat on the back," said Bainbridge. She also had a refreshing sense of humor. With a tip of the hat to Indiana's farmland culture, Keijzer showed up at a team party dressed as an ear of corn. "I feel like so much of the media coverage focuses on nationalities," Bainbridge said. This tragedy, she said, transcends that. "For us, it wasn't about where you're from. We were like family." A former roommate said she was the most genuine person she had ever met. "If you were worrying about something that you should not be worrying about, or if you were obsessing over something that was not a big deal, she was going to tell you to lighten up," Rachel Weigler said. "You know, she just wanted you to love life." Aerospace engineer Fatima Dyczynski was founder of the high-tech startup Xoterra Space in the Netherlands. The company website described her as a "thought leader, scientist, creative space enthusiast, motivated entrepreneur, public speaker, all world traveler and absolute futurist." Her parents were having a hard time accepting that she had been killed. "Our daughter is a survivor," her mother, Angela Rudhart-Dyczynsk, told CNN's "Erin Burnett OutFront." Their daughter was innovative and creative, she said. "We believe she was the face of the young generation," Rudhart-Dyczynsk told CNN. Dyczynski also was CEO and project manager of Xoterra. "We are very grieved by the loss of the founder of Xoterra Space, Fatima Dyczynski, who passed away in flight MH17 to Kuala Lumpur," the company said in a statement. "Fatima was energetic, full of life and her dreams reached to the outermost of space. She was brightly outspoken, ambitious and incredibly motivated. Many people were inspired by her dreams to make space personal and her passion for innovation and business." Dutch passenger Pim de Kuijer was on his way to an International AIDS Conference in Australia -- a trip that was to be followed by a backpacking excursion there, according to his Facebook page. "He devoted his life to trying to change the world around him for the better," his brother Paul de Kuijer told CNN on Monday. "He used to work on democratization projects in Sierra Leone, Malaysia, Russia and Ukraine, as well." He said that the reactions to his brother's death told him more about the man. "I now know he touched so many lives and he was in fact maybe a remarkable person," Paul de Kuijer said. His brother always believed that dialogue was the key to solving crises such as the one in Ukraine. "The last thing he would have wanted is his death or even the tragic incident that caused his death to contribute to even a more difficult situation there in the conflict," Paul de Kuijer said. The day of the crash, de Kuijer posted to his Facebook page a picture of him posing beneath aviator sunglasses and sporting a large travelers' backpack. 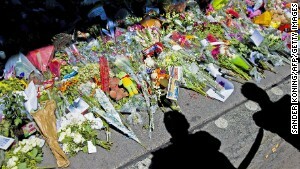 Well-wishers' comments turned from excitement, to panic, to devastation as the Facebook community learned of the downed MH17 and the passengers aboard. "I still can't get my head around the fact that he was killed," wrote one friend. "Pim believed in understanding between countries, the rule of law and equality for all and fought for his values through his work and his political activities. Let's try to live up his legacy and work even harder towards a peaceful world." His brother-in-law, Shane Hattingh, told CNN that Cameron Dalziel really was "larger than life." "I know everybody says that," Hattingh said, "He's what I called a high-value South African ... citizen. Wherever he went in the world people were like, this is someone to be reckoned with." Hattingh said even after he and his family realized the plane had gone down with no chance of survival, he still thought Dalziel would walk away alive. 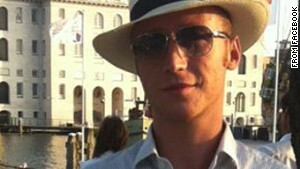 Dalziel, who had a British passport, was the married father of two boys, according to media reports in England. 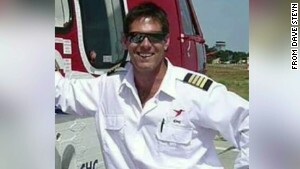 Hattingh said Dalziel had been a lifeguard once and was a helicopter pilot. In the UK, the Newcastle United soccer team announced that two of its "most loyal supporters," John Alder and Liam Sweeney, had died aboard the plane. The two were lifelong supporters and followers of Newcastle. 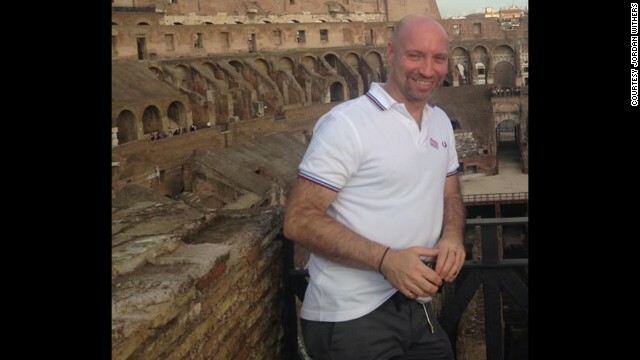 Sweeney volunteered as a steward on fan buses to away games, and the two were familiar to thousands of fans and staff, the club told Sky Sports. They were en route to New Zealand to join the team for a tour. The couple were headed to vacation in Bali. Daisy Oehlers' mother had died a few months ago, and the trip was meant to be an escape. "I paid their tickets to give them four weeks holiday to find their happiness again," Bryce's mother, Silena Fredriksz, said. She implored the rebels to return their bodies to their native Netherlands. "I want to put my son and his girlfriend -- Bryce and Daisy -- together again here," she said. "They have to be buried together. They died together. They loved each other. They have to be together forever." The rebels can loot all they want, she said, but must let their bodies be repatriated. "They can have everything, but the bodies have to come back," she said. "Take their iPhones, take their money, take everything." 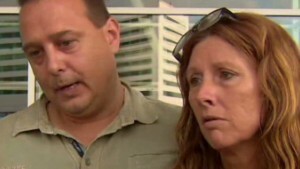 Three additional victims of Flight 17 were a family traveling home to the Philippines. Irene Gunawan, 54, and her children -- Sheryl Shania Gunawan, 15, and Darryl Dwight Gunawan, 20 -- were on a summer vacation. 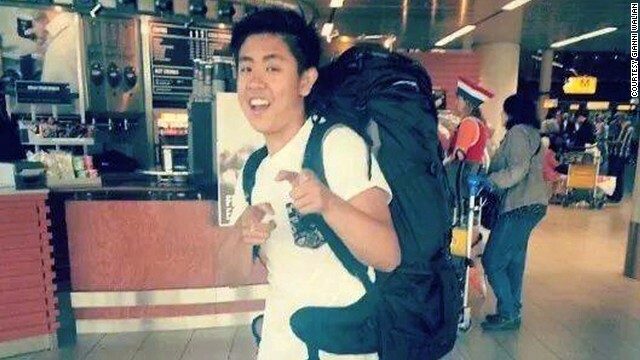 The youngest was a high school student, family friend Peter Overbeeke told ABS CBN News. "They were a very sweet family," he said, describing them as "harmonious," "peaceful" and "successful." "He said he wanted to help people, so he was going to study to be a doctor to help other people," Waliam said. He was born in Aruba but lived in South Florida and graduated in 1990 from Palmer Trinity High in Miami, reported CNN affiliate WFOR in Miami. Jesurun, 43, was heading to Kuala Lumpur before arriving in Manila to start a new job at a call center, his friend, Kenrick Augusta of Boynton Beach, Florida, told CNN affiliate WPBF. The victims also included a revered AIDS researcher en route to the International AIDS Conference that began July 20 in Melbourne, Australia. "He was a real hard-core scientist, but on the other hand, he really had the heart of an activist. He was quite bold and a little bit of a troublemaker," said Albert Wu, professor at Johns Hopkins Bloomberg School of Public Health. Wu had helped Lange plan the 1991 AIDS conference. Lange "was one of the first people to advocate spreading HIV medications to Africa," Wu said. At the time, the medication wasn't being delivered because of refrigeration problems. "He said, 'If Coca-Cola can deliver cold beverages to Africa, why can't we deliver HIV medication?' And he helped make it happen," Wu recalled. In a statement, amfAR, The Foundation for AIDS Research, said Lange's death was "a profound loss to the HIV/AIDS and global health community." "Joep Lange was a towering presence in the fight against AIDS since the beginning of the epidemic and a wonderful friend, colleague, and teacher," amfAR CEO Kevin Robert Frost said. "He inspired legions of AIDS researchers, health care workers and activists and was an inspiration to me personally. He will be sorely missed." Lange's partner, Jacqueline van Tongeren, was also on the flight, says the Health[e]Foundation, co-founded by Lange. In Rotterdam, Huck Chuah stood outside the Asian Glories restaurant and recalled the moment he learned that three family members weren't coming home. "You lost someone you never expect," he said. "There are no words for that." 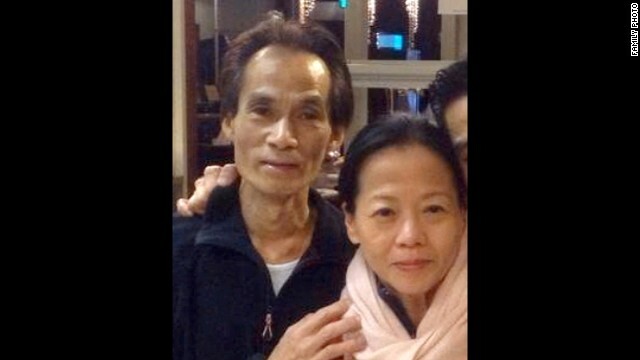 He said the Chinese restaurant was the life's work of his cousin Jenny Loh and her husband, Shun Poh Fan, who were on the doomed flight along with another unidentified family member. "They built up this restaurant in 15, 20 years," Chuah said. "It's a very good restaurant. You can see the flowers and, of course, all the comments on the Internet. Always working for the son and the business. This was their vacation." Nick Norris and his grandchildren, Otis, 8, Evie, 10, and Mo, 12. "The fact that he was with his grandchildren right to the end, caring for his family, is perhaps a way of looking at the strength that he brought to things," said his nephew, Matt Jones. "Nick himself was an inspirational hero to so many people, a storyteller and natural leader," he said. But the loss of his three grandchildren -- Mo, 12, Evie, 10, and Otis, 8 -- "is the real heart of this tragedy, a stealing of such innocent life," Jones said. "Bit of a larrikin, you know, he was a funny man, Albert," was how Steve Medcraft described his friend of three decades. In tears, he added, "You had to know him ... to appreciate him. It's very hard. Very hard." 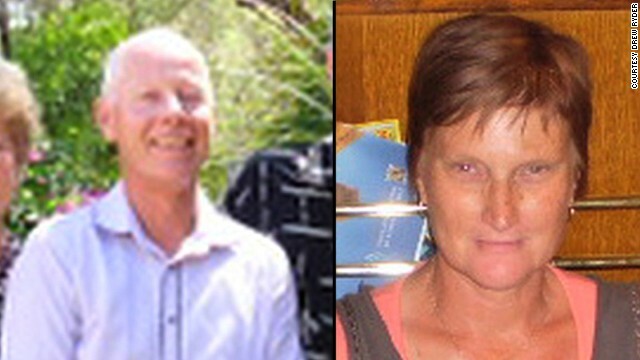 The couple were on the way back home to Australia after a trip to the Netherlands and France. "My brother was one of the most generous, warmest people I've ever known. 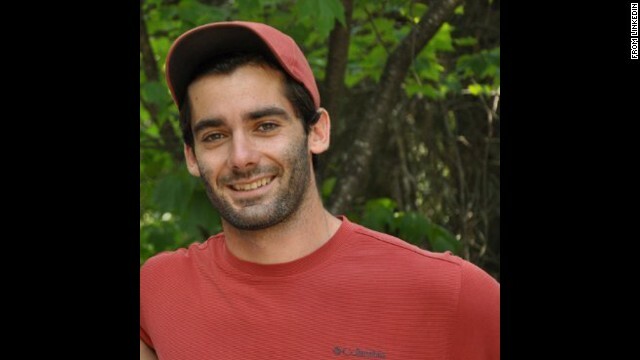 Just a guy that enjoyed life, liked adventure, (and) just cared a lot about people," Drew Ryder told AC360. "A very strong family man. Loved his kids and his grandkids." The loss has been devastating for the family, he said. "It's been really tough, such a shock," he said. "We are still trying to process this." Drew Ryder said his brother had worked for Western Australia's Department of Agriculture for three decades. He was due to receive an award for his service the day after he got back. Martine de Schutter was, like many passengers, on her way to the International AIDS Conference in Melbourne. 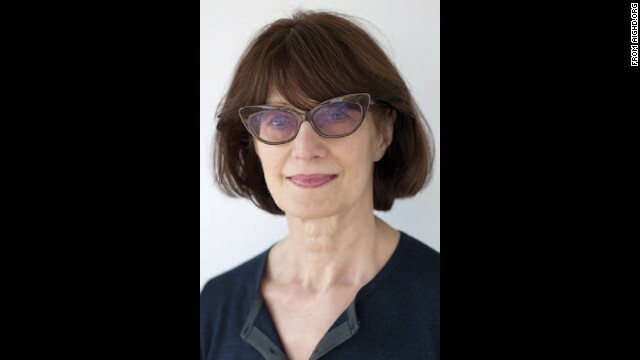 Before taking that job early this year, she'd spent a decade as executive coordinator of AIDS Action Europe, a partnership on HIV and AIDS in Europe and Central Asia. The 15 crew members were all Malaysian nationals, officials said. One of them was Shazana Salleh. Her best friend, Carmen Low Kar Marn, recalls driving to the airport before the flight. 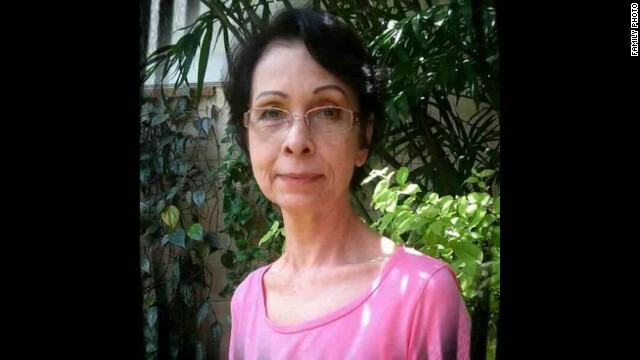 "I just sent (Salleh) to the airport, and then I just said, 'I wait for you to come back,' and (she) never come back," Low told CNN's Anderson Cooper. When asked whether the loss of her best friend seemed real to her, Low replied through tears: "I just hope it is a false. I try to message her, but no answer." Four months earlier his wife, Beegeok Tan, also a flight attendant with the airline, switched flights in Kuala Lumpur and escaped going down with MH370. That flight disappeared in one of aviation's great mysteries. "Fate has played a very unfair hand against us," his father said. His wife left a message on Facebook: "We know you are gone and won't be coming back. I wish you a safe journey and I know you will go to a much better place." An avid rugby player, he was a student at the International Business School - Hogeschool van Amsterdam and was headed to Indonesia to vacation with his family. 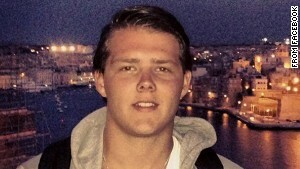 "Big boy, very lively, and we all will miss him," his grandfather said. "As a grandparent, you just hope that none of your children or the grandchildren will go before you, and now it has happened." 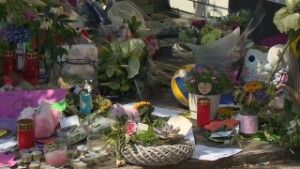 In the Dutch fishing village of Volendam, bouquets were laid outside a flower shop owned by Neeltje Tol, who perished on Flight MH17 along with boyfriend Cor Schilder. Schilder posted a picture of the Malaysia Airlines plane on Facebook shortly before takeoff. "In case it goes missing, this is what the plane looks like," he wrote, a reference to missing Malaysia Airlines Flight 370. On Friday, customers and friends stopped by to sign a book of condolence and pay tribute to the florist. A photograph of Schilder and Tol was placed outside her flower shop. "She was a lovely girl," one customer said. "Last time I saw her was yesterday, when I waved goodbye to her," said Wibisono, an Indonesian journalist and author based in Amsterdam. In a statement posted on its website, Malaysia's Taylor University said Muhammad Afif bin Tambi, 19, had just completed his foundation in natural and built environments and had enrolled to study for a bachelor's degree in architecture in August. He was a former CEO and founder of a skateboard company, according to his Facebook page. "We would like to offer our heartfelt condolences to the family of Muhammad Afif during this difficult time, and our thoughts and prayers go to all passengers on board flight MH17," the statement said. 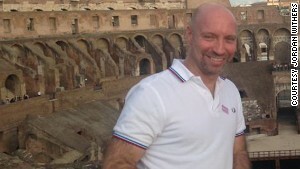 Friend Gina Manola said he was "a brave, curious person, adventurous. And a lot of people, I think, were drawn to him. He was a really wonderful person doing great work in the world," she said, adding that he was planning his 50th birthday celebration. In a statement, the WHO expressed its condolences to Thomas' family, friends and colleagues and quoted his twin sister as saying "he died doing what he loved." "He will be greatly missed by those who had the opportunity to know him and work with him," it said. Christy Feig, communications director for World Health Organization, said Thomas "loved life more than anyone else I knew, and he had the most infectious laugh you can imagine. He was such a pleasure to have in the office and has friends all over the world." 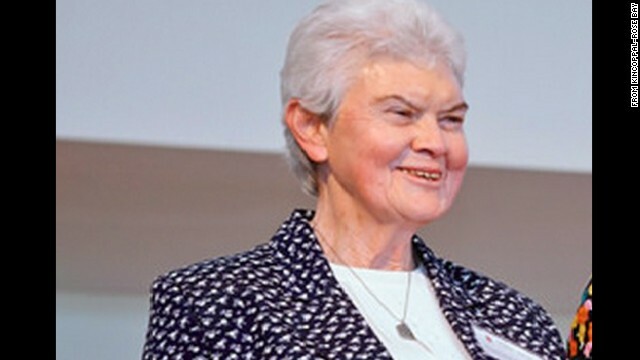 A 77-year-old teacher and Roman Catholic nun, Sister Philomene Tiernan also was on the flight, according to Australia's Kincoppal-Rose Bay School of the Sacred Heart. The school principal described Tiernan as "wonderfully wise and compassionate." "We sympathize with her boyfriend, family and friends," the rights group said. In the Dutch village of Neerkant, rows of houses are flying their flags at half-staff. "The community is still in shock, a very deep level of shock, because it was a very well-known family, and I think people are still trying to handle the situation," said Peter van der Burg, a neighbor and friend. A message to Brett says, "I'll miss you, dear family. You didn't deserve this." "I can't believe I won't see you again," a teacher wrote. A former baby sitter wrote that there were no words to describe the tragedy. She used one word to sum up her feelings: "Why?" Nikkie Sijben, 14, cried as she tried to describe her friend. "We don't understand it," she said. "We think she will turn up, but she can't," Manders said. "She won't." Did surface-to-air missile take down Flight 17? Should jet have flown over Ukraine? CNN's Saima Mohsin, Erin McLaughlin, Holly Yan, Alta Spells, Ray Zoe Li, Casey Tolan, Barry Neild, Yan contributed to this report. Watch: CNN's Alexandra Field takes a look at how some of the 298 victims who perished on Flight MH17 are being remembered. Who were the victims of MH17? 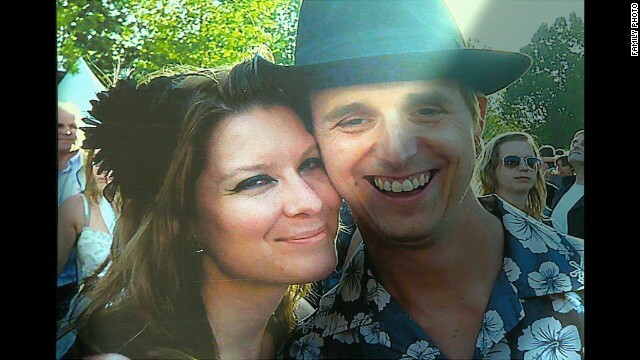 CNN's Ted Rowlands profiles MH17 crash victim, Karlijn Keijzer, a doctoral student at Indiana University. CNN's Erin McLaughlin speaks to family and friends of Dutch citizens who were on board Malaysia Airlines Flight 17. Anderson Cooper speaks to Drew Ryder, whose brother and sister-in-law died in the MH17 plane crash. 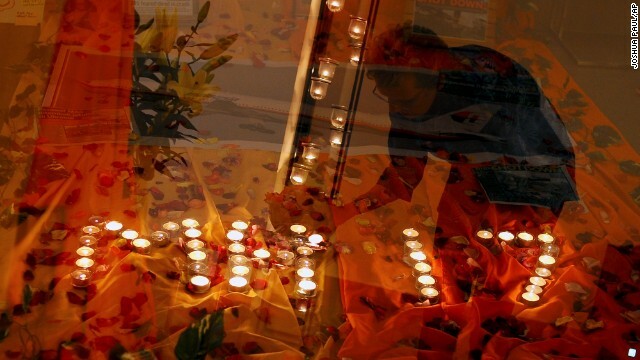 All over the world, families mourn the victims of Flight MH17. CNN's Fred Pleitgen looks at some of those who were lost. Shirts, watches and passports; everyday items found in the wreckage of Flight MH17 tell a devastating story.